Glenn Beck’s “Never Again Is Now” Strikes The Right Chords | Virginia Right! I don’t follow Glenn Beck closely and am late to this story. That said, as I sat down this morning to figure out what #NeverAgainIsNow was all about, I was struck by the glorious realization that Americans were participating in action without requiring the government to do it for them. Such thinking should and must be encouraged! What is Glenn Beck up to? Glenn Beck has established something called the Nazarene Fund, aiming to raise 10 Million Dollars to rescue Christian families from the jaws of ISIS. This is fantastic. We cannot trust our government, especially our current regime, to help Christians in the Near East – and it would be an act of sheer stupidity to wait around for this US Government to do something good in the world. If you want something good done in this world, you better band together and get it done yourselves. While I fully support this effort and encourage everyone to give charitably to this cause, I cannot help but to be encouraged by the independent action of average Americans trying to add their voice, money, and effort to address real problems facing our world. This is simply beautiful. Could you imagine if Americans began just cutting governments out of their lives by banding together to solve their own problems? I live in a development whose roads aren’t paid for or regulated by the state. We, as a community, pay for and care for our own roads. While difficult in rural areas, could you imagine if the majority of communities decided that their roads were their own and took responsibility for them? I’ve heard a lot of people complain about HOA’s, but like any organization, an HOA will be as effective as the people running it. You’ve got a lot more power and influence as a homeowner in an HOA than you do as a citizen of the State of Virginia. The more local something is, the more efficient and effective it will be. Fewer middle men, fewer pay offs, less graft, waste, and fraud. If you want to help save Christian Families overseas, here’s the Nazarene Fund link one more time. While our government refuses to help, there are still steps we can take without them. Just remember, this isn’t only true in this circumstance. It’s almost always true. We don’t need to wait on our governments for everything. We’ve got to get out of that toxic mindset and remember that we are free, we are sovereign, and there are few things we can’t accomplish on our own together. ← Britain Rising at Last: The Say NO to the European Union Tour Starts September 7 in Margate! Recently Glenn Beck and his side kick Pat Gray on his radio show made fun of Donald Trump’s religion. I couldn’t believe it. It was stunning. Especially if you know that Glenn Beck lived most of his life- as a Non Believer. Donald Trump is a Protestant- a lifelong Presbyterian. He grew up in Norman Vincent Peale’s Presbyterian church and attended Sunday School in Jamaica, Queens NY. But Glenn and Pat made fun of that as well. Calling Norman Vincent Peale’s religion “Feel Good.” John Calvin founded the Presbyterian Church and it is not a “feel good television evangelical church” by any stretch of the imagination. Goes to show you how Glenn Beck’s Mormon Faith is out of touch with the history of Christianity after the Reformation. And Glenn Beck doesn’t believe Donald Trump is religious. HE said so. He thinks Trump’s explanation of his religious upbringing is a political ploy to appeal to the evangelicals. Beck actually made fun of Trump’s comments about the Bibles he owns and where he keeps them implying he was lying. When America is becoming secular- and fewer people attend church and the Godless communists are committing infanticide at tax payer’s expense at Planned Parenthood, who is Glenn Beck to laugh at a Christian’s public testament to God? If a man says he believes in God and goes to Church- he’s in the 99th Percentile in my book. But not to Glenn Beck. Glenn Beck is a converted Mormon who for most of his adult life was a drug addict and alcoholic. He, like Trump, is divorced and remarried and on his second family. A flawed man. No judgment from me but I recognize the Hypocrisy of the pot calling the kettle black here. Who is he to make fun of a man ( Trump) who never drank or smoked or did drugs in his entire life. He has said that he forbid his children from drinking, smoking or doing drugs or getting a tattoo as well. Sounds like a strict father and his children have turned out to be successful. Glenn Beck has deteriorated into a self righteous pompous money grubbing clown on the radio and I hope you will join me in turning off his show. It’s the only thing that affects people who crave attention. Deny him the ratings. Wow! That was instructive. No response to the Nazareth Fund, Christians in need, independent human action? Just Trump, Trump, Trump? Yes- You got that right, Mr. Tucker. Beck is a Media Prostitute. He earns millions promoting these gigs. You fell into his bag of tricks. Anyone who would spend an hour on his nationally syndicated radio program ridiculing a presidential candidate for his Christian Faith ( Trump and the Presbyterian Church) is a False Christian. Anything Beck says about the Nazareth Fund etc is meaningless if you listen to his tirade against the Presbyterians and Norman Vincent Peale. He’s not Christian. It’s all SHOW for ratings and Market Share and Advertising. 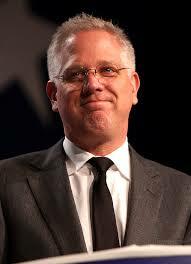 Thank you for calling out Glenn Beck for what he truly is- a shallow minded Bigot. I heard that show you referred to in your comment. You nailed it. Gray and Beck ( Mormons) ridiculed Trump for his faith ( and mine) and painted Presbyterians as some “feel good” religion not based on biblical teachings. My family came to America in the 1700s from Scotland and we have been Presbyterians for centuries. Beck on the other hand fell into his Mormon Faith because his wife wouldn’t marry him if he didn’t- in his own words. I am joining you in turning off Beck PERMANENTLY. Glenn Beck’s World: Nazarenes are GOOD. Presbyterians are BAD…. and he is King and Ruler of the universe? Obama’s $18 Trillion debt is so BAD but Obama’s tens of thousands of illegals and refugees is so GOOD. I can play this game all day long. The conflict you have to come to grips with is the Libertarian’s view of Open Borders ( anthesis of Trump’s platforms) while America can’t take care of the Wounded Warriors but the Libertarians want to take in more workers? We should open the USA to the Syrian Refugees? What Glenn Beck isn’t saying on his radio program while he is begging Churches to take refugees into our country, is that once here they will be enrolled in Food Stamps, Medicaid, Free Housing, Free Public Schools, etc. The UN Should take up the offer from the Greek Billionaire and Buy them an island. What say you? Beck is an Intolerant Piece of Crap.